Stacey Bradford focuses primarily on qualified retirement plan issues. 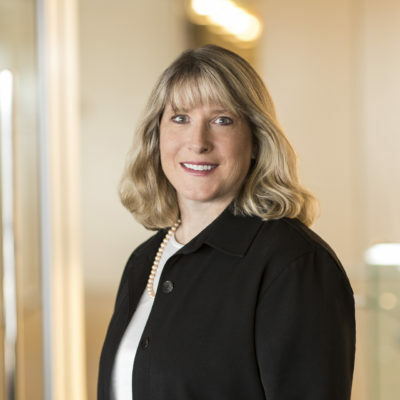 With multiple decades of benefits law experience, she has advised clients on issues including defined benefit and defined contribution plan implementation, design changes, operational compliance matters and corrections, mergers and spinoffs, and plan terminations. Stacey also has significant experience with cross-tested and variable benefit retirement plans. She represents clients before the IRS, the Department of Labor (DOL), and the Pension Benefit Guarantee Corporation (PBGC) in connection with audits, qualification submissions, corrections, and other matters. Her practice also encompasses executive compensation arrangements, stock-based benefit programs, federal and state income tax requirements, and health and welfare plans. Stacey advises a broad spectrum of clients, including financial institutions, tax-exempt organizations, corporations, governmental employers, and multiemployer Taft-Hartley plans.